Founder: George Valley formed a committee of 7 other scientists (including Jay Forrester) & the U.S. Air Force. Specialty: Pioneering advanced electronics in air defense systems. Sage air-defense computer system development. Developed the "Whirlwind" computer - a first generation vacuum tube computer. 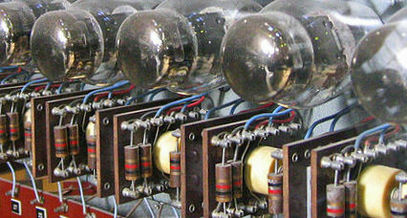 MIT's Whirlwind Computer was a First Generation Vacuum Tube computer. The Whirlwind contained 12,500 vacuum tubes, 23,803 crystal rectifiers and 1,800 relays. 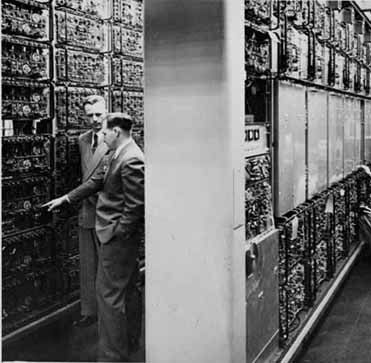 Development of the Whirlwind computer began in 1946, and the system was first demonstrated on April 20th, 1951. The MIT lab placed Jay Forrester, the inventor of magnetic core memory, in charge of the project. 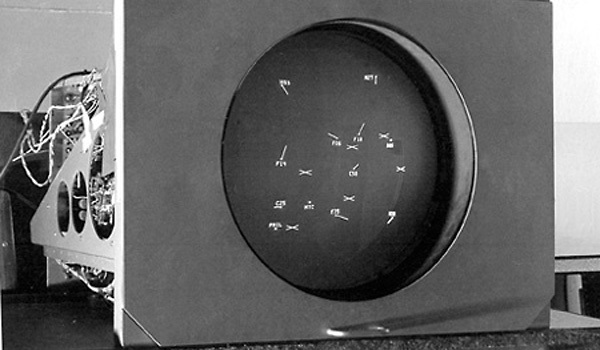 Whirlwind was the first computer capable of displaying real time text and graphics on a video terminal, which at this time was a large oscilloscope screen. 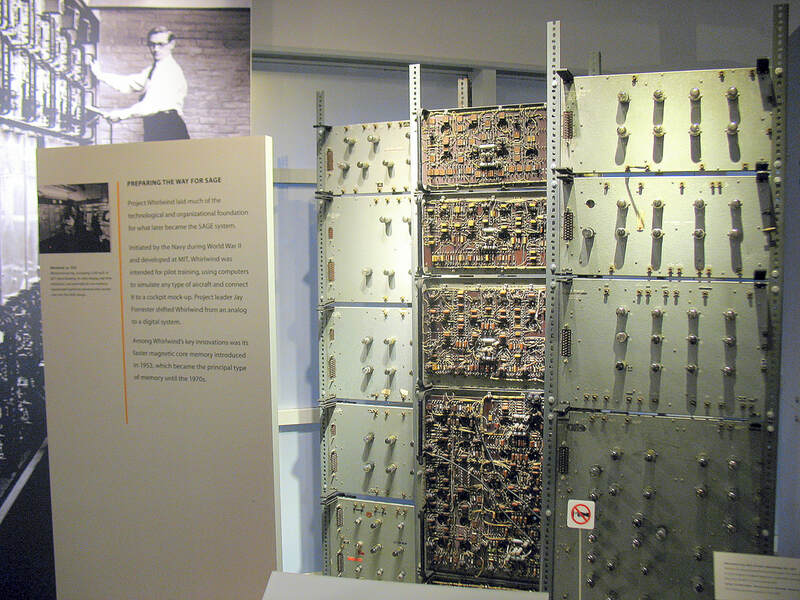 The Whirlwind was also the first computer to use Core Memory for RAM which stores binary data on tiny doughnut shaped magnets strung together by a wire grid. 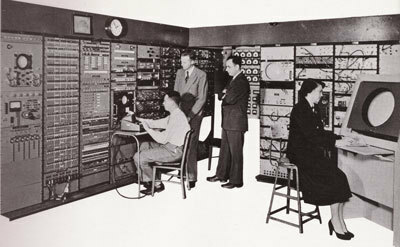 The Whirlwind computer was ultimately adopted by the U.S. Air Force for use in the SAGE (Semi-Automatic Ground Environment) air defense system, which became operational in 1958 with more advanced display capabilities. RCA applied for the contract to manufacture SAGE but it ultimately was awarded to IBM. The last of the Whirlwind-based SAGE computers was shut down in 1983, giving the Whirlwind a record for practical operational longevity among digital computers. The Cape Cod Project which used the Whirlwind for an advanced warning system was developed at MIT's Lincoln Labs. 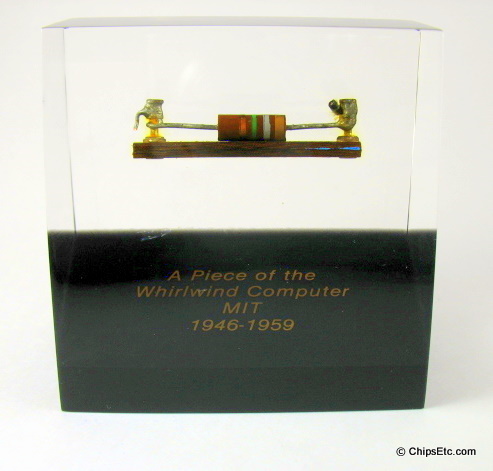 These Limited edition Lucite paperweights had a unique piece of the Whirlwind Computer embedded inside each one and were distributed as mementos on June 30th 2009 at a reunion of the original Whirlwind project team members at the LeMeriden Hotel, Cambridge, MA (formerly the Hotel at MIT). This was the 50th anniversary of the last day of operation of this historic computer. About 50 Whirlwind project team members were present for the reunion, including Jay Forrester and Bob Everett. The President of M.I.T. Susan Hockfield spoke to the group. This particular paperweight features a resistor hand soldered between two terminals and was sectioned from a larger piece of one of the Whirlwind Computer's Circuit Boards.